We took a trip around the island, up and down hills, through the towns, and all the way to another tiny island Big French Key. 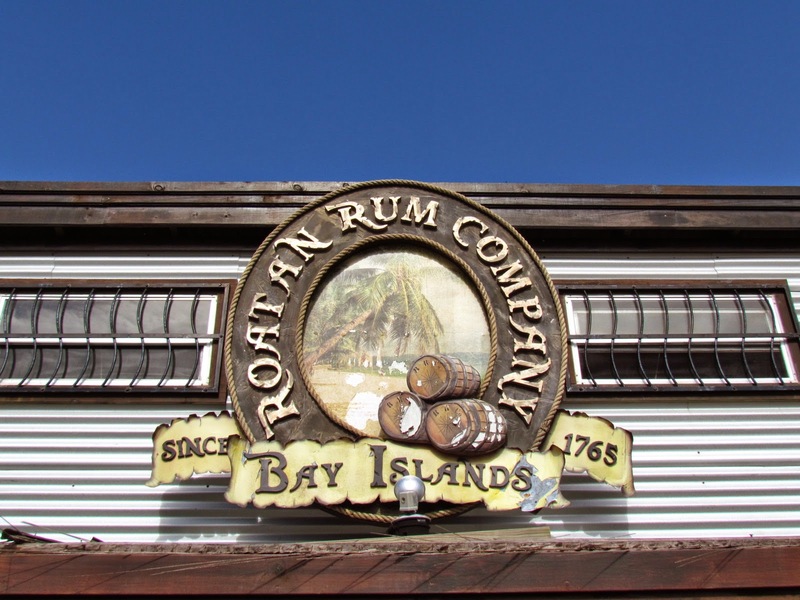 The first stop on our tour was a rum cake store. Nothing like a couple of samples of rum at 10am to start your day off right. 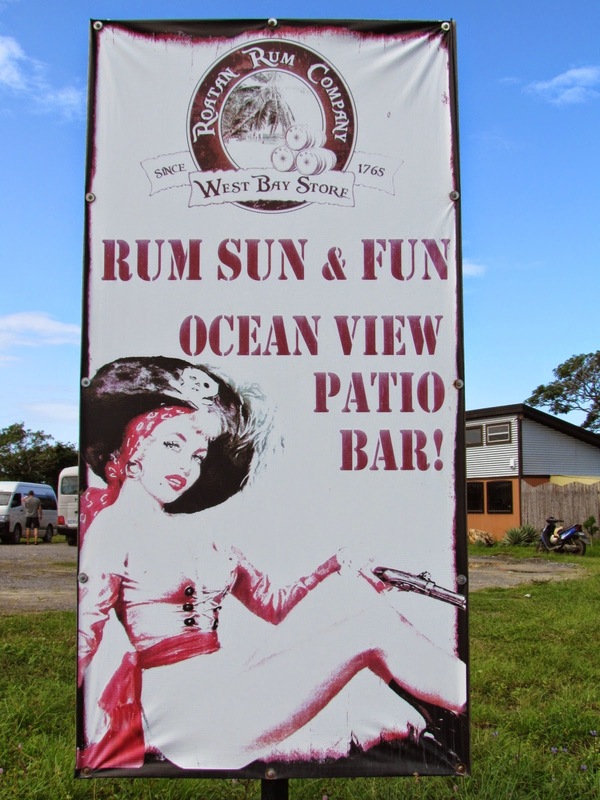 Roatan has quite the storied history. It (like a lot of the islands in the Caribbean) was a haven for pirates in it’s day. 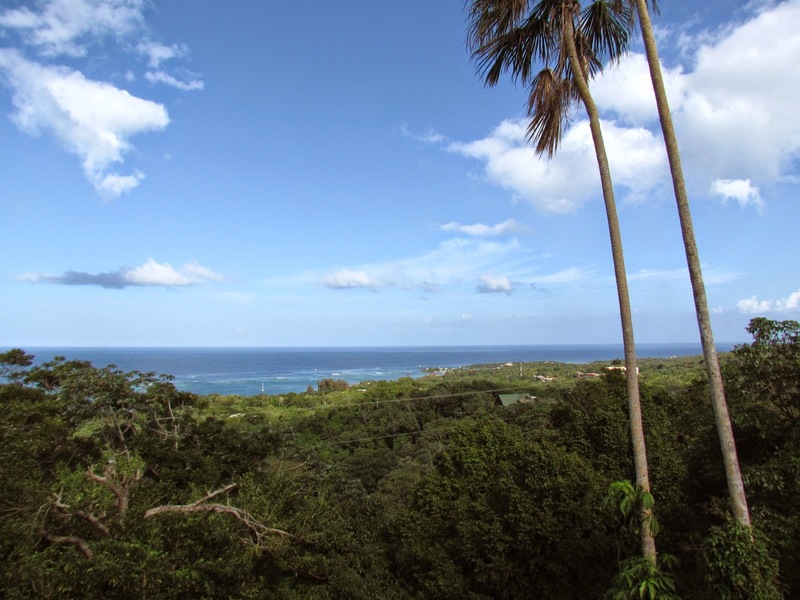 There is allegedly still buried treasure on the island if you know where to find it. Can’t argue with that! The view out the back of the patio was truly stunning. My favourite sign was definitely this one though. 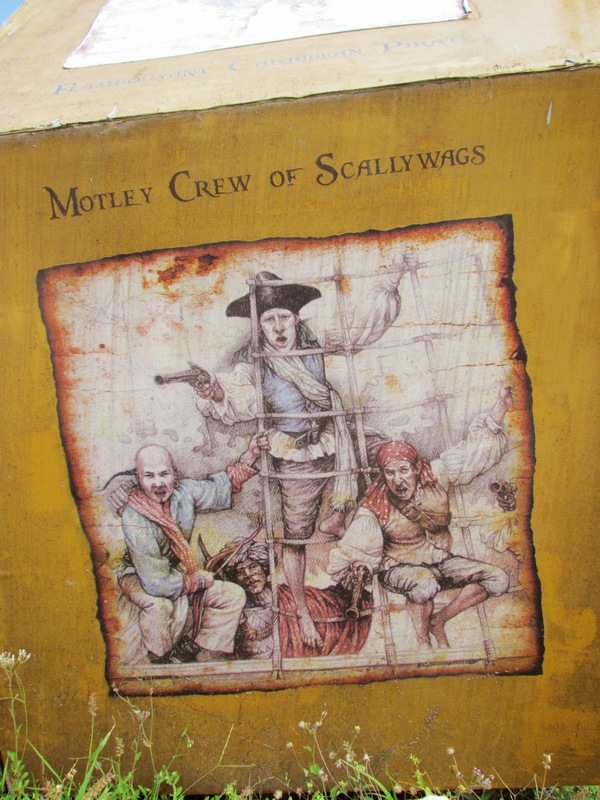 A motley crew of scallywags is what I aspire to be a part of one day. 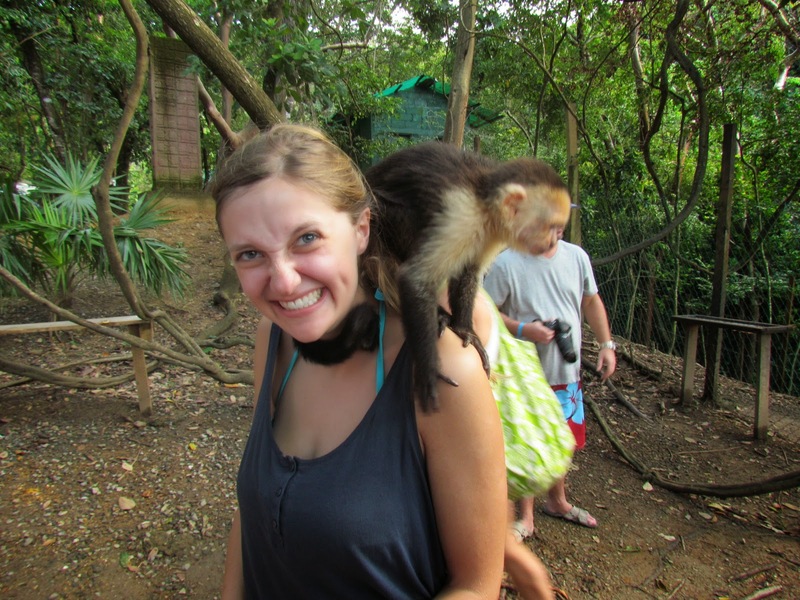 We headed next to a wildlife sanctuary called Mayan Eden. I was quite excited about this stop because it has some Mayan statues. But unfortunately they are definite replicas. I mean I knew they must be, since there was no information about Mayan ruins being on the island. However, I continued to hope. They looked cool, but not ancient. 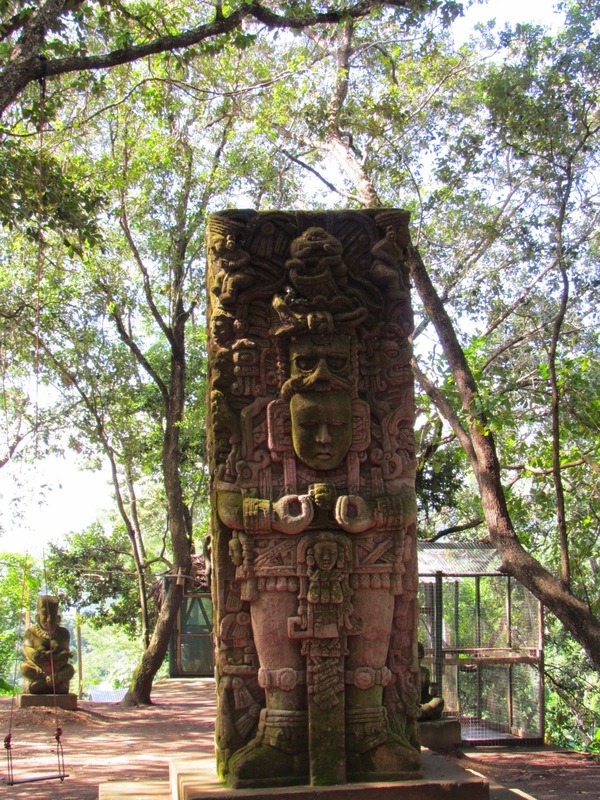 We had hoped to get to the Copan ruins on the mainland on our trip. However, it was going to cost about a thousand extra dollars for the two of us and we would have had to book in on the chartered plane two weeks in advance. So, just a little heads up to any of you if you plan on visiting! 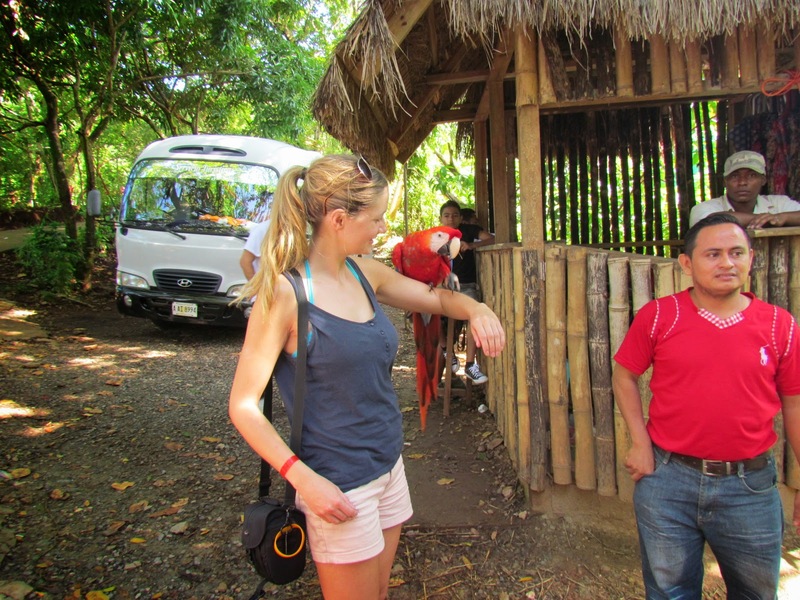 The best part of Mayan Eden was getting to hang out with the parrots and monkeys! 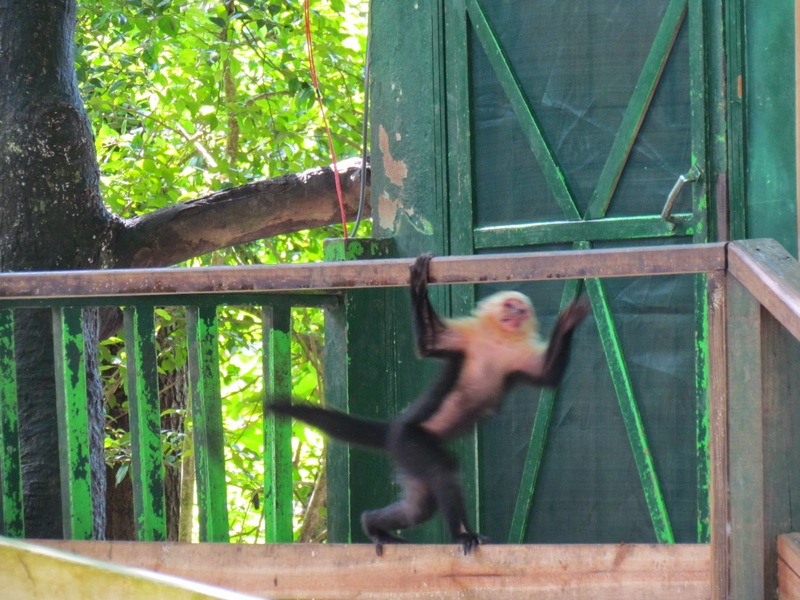 The white faced monkeys run free in the park, they have an enclosure that they can get in and out of at will. That way if anything comes along that looks like it might want a nice monkey snack, they have a safe haven. This guy had to be photographed from afar, because he isn’t as fond of people. Fine by me, he can hang out on his own. This guy was plenty friendly, hopping from shoulder to shoulder, wrapping his tail around your neck to say hi. His tail is so strong. They also have a wonderful butterfly sanctuary. 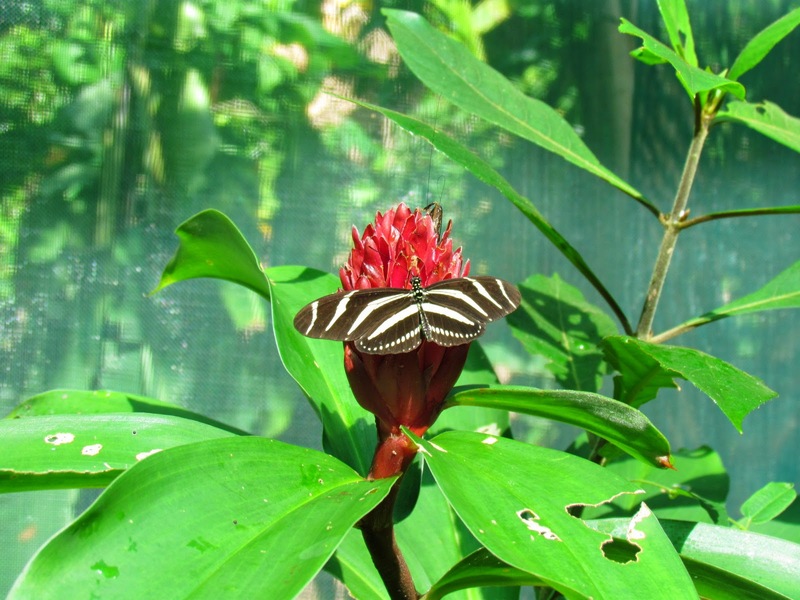 There were all kinds of butterflies and hummingbirds flying around inside a large tented green house. 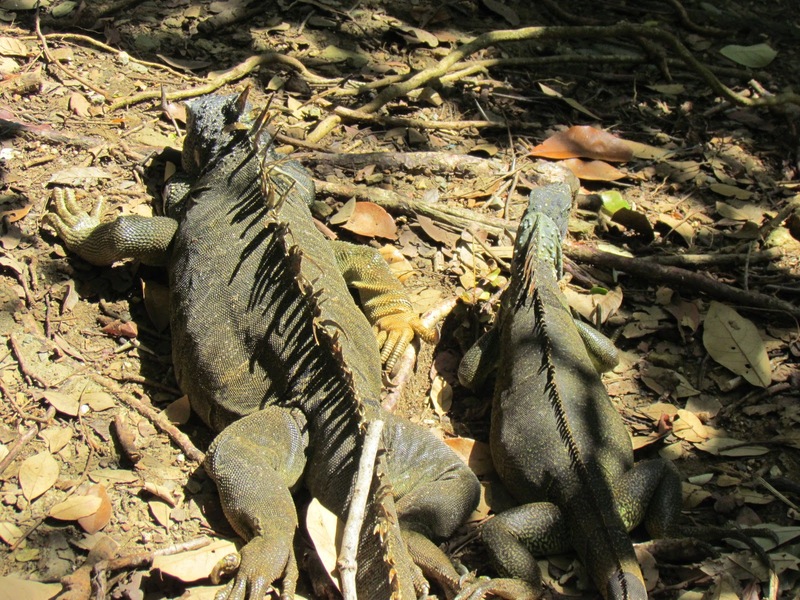 In keeping with the wildlife theme we next went to an iguana sanctuary. 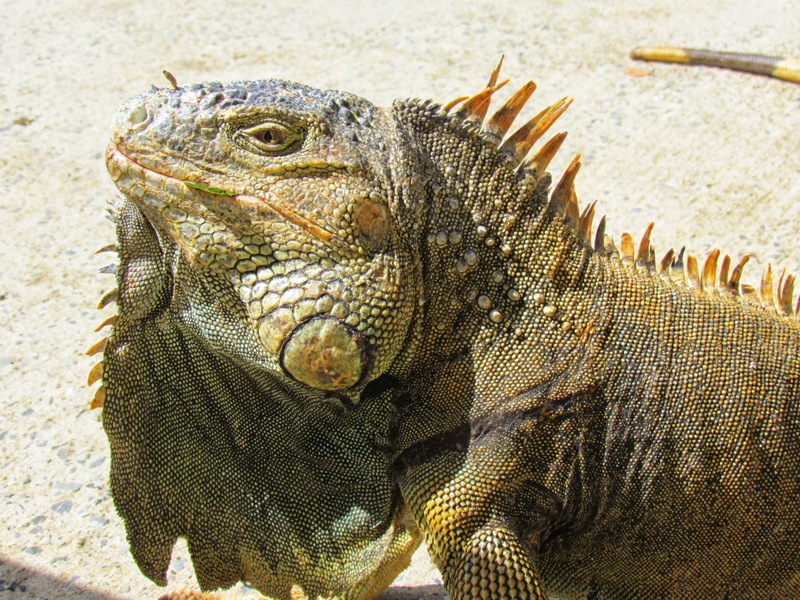 They have something like 2000 iguanas on site. They give you a big leaf to feed to the iguanas. This guy was such a boss and wanted absolutely nothing to do with my leaf. He was clearly much too cool to eat from the likes of me. You had to keep an eye out to make sure you didn’t step on their tales, they were everywhere. 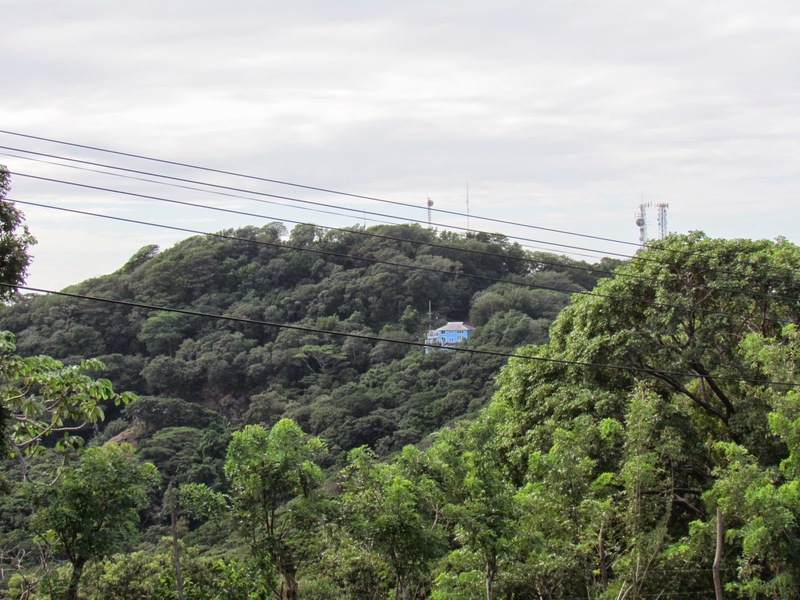 Up in the trees, on the roof of the building, on the steps down to the water. It was a hot day and so we were more than ready for our last stop which was the island Big French Key. 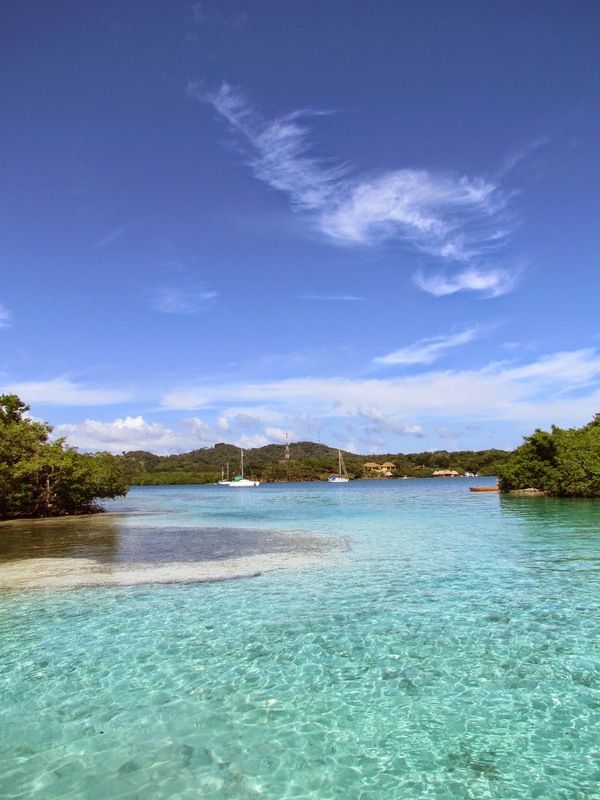 We had to take about a three minute boat ride from Roatan to the beautiful white sand beach and turquoise water. So beautiful and calm. 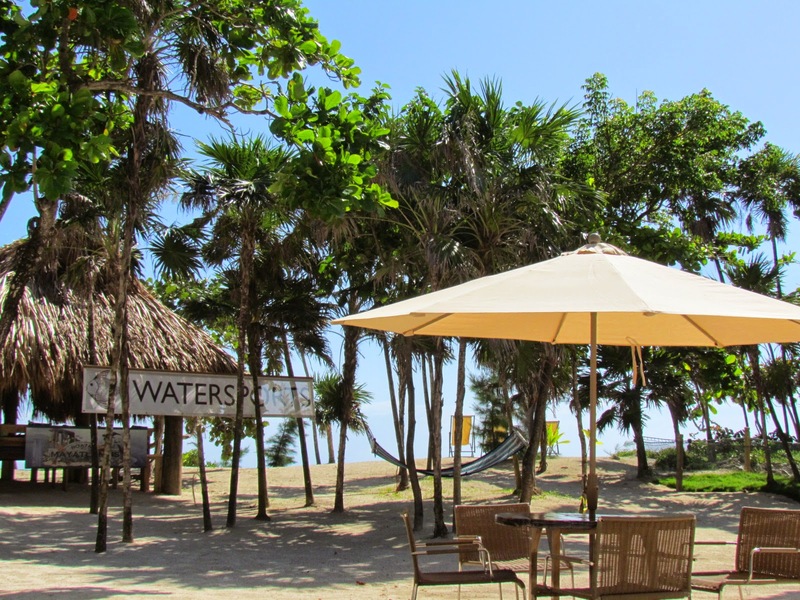 We got to hang out on the beach, take kayaks out to snorkel. There was a restaurant on the island, the food was fantastic. We had beans and rice, chicken, fried plantains and a couple of beers. So delicious and refreshing in the hot sun! 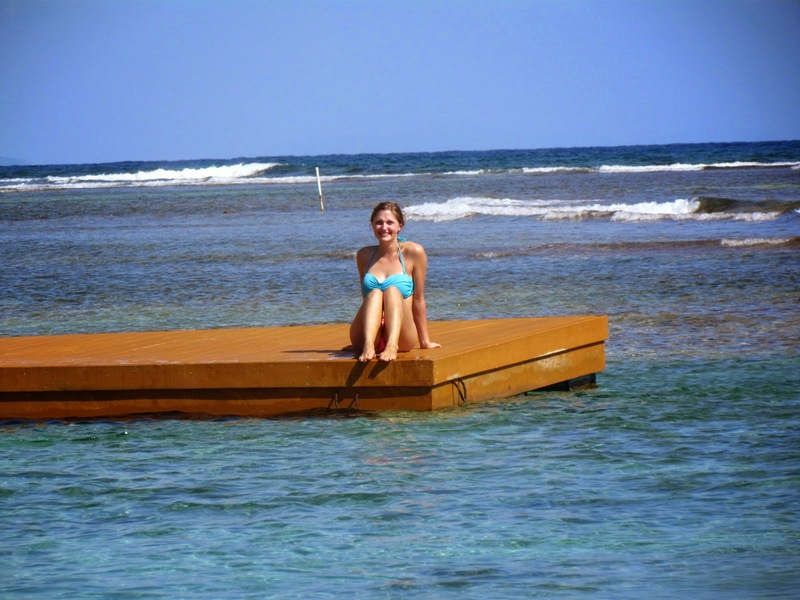 A nice floating raft to swim out to and sun tan on if it catches your fancy. 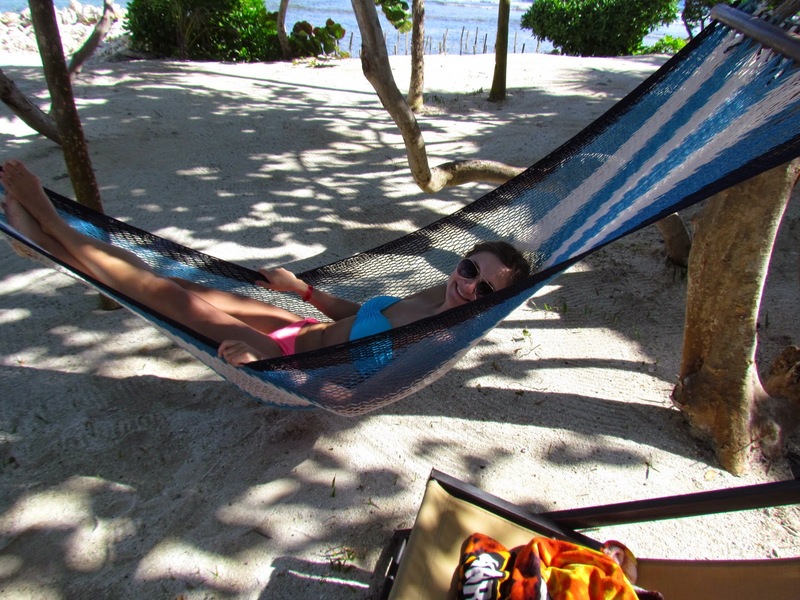 When you’re tired out from snorkelling and sunshine there’s plenty of hammocks on the island in the shade, where you can take a nice nap. Or just lay down and watch the waves on the ocean.